Some animals have a mind of their own. This is certainly the case for Mariska the horse escape artist, Milkshake the charging cow, and Pony the runaway goat! When these animals put their mind to something, they can' t be stopped--especially when they are causing mischief. 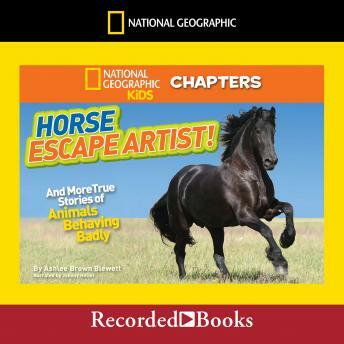 In "Horse Escape Artist!," you'll find out how these determined animals caused chaos in three hilarious stories.